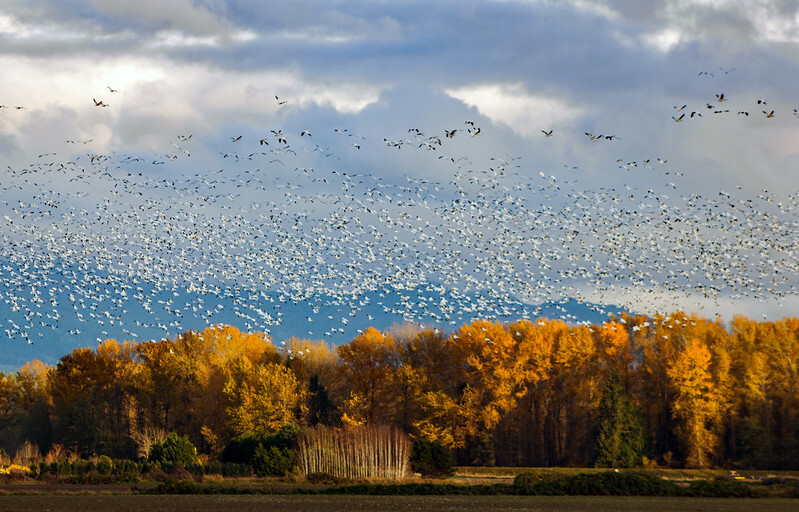 The Skagit Valley in Washington state welcomes the migratory return of snow geese every winter. The sun sets at 4:20 this time of year, so the days are very short and dark. When the sun comes out, it presents wonderful opportunities to view the changing landscape. On this day the low sun intensified the fall colors on the trees, making a beautiful background for the geese in flight.